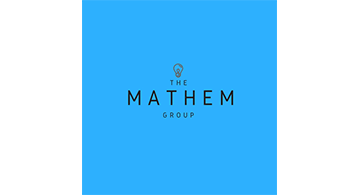 The Mathem Group is a Beverly Hills-based strategic consultant firm. We offer c-level training for executives and entrepreneurs who want to become confident public speakers, sales executives, and thought leaders. Their flagship Forbes-featured GPS online platform trains entrepreneurs on how to become global speakers, branding experts, and online consultants. Their clients are based in 76 cities, 16 countries, and 4 continents. As an Amazon #1 bestselling author and global speaker, Christopher has given over 1,000 presentations to a global audience from 30 countries. His audiences include the U.S. Consulate and Fortune 500 companies like Google, New York Life, Farmers Insurance and American Express. He has been featured on Forbes, ABC News, Fast Company, Huffington Post and Inc. Magazine. He is a former business strategist at American Express in New York City. Christopher is available for keynote speeches, MC opportunities, and c-level training workshops in sales, branding, the billionaire mindset, networking strategies, and online entrepreneurship.